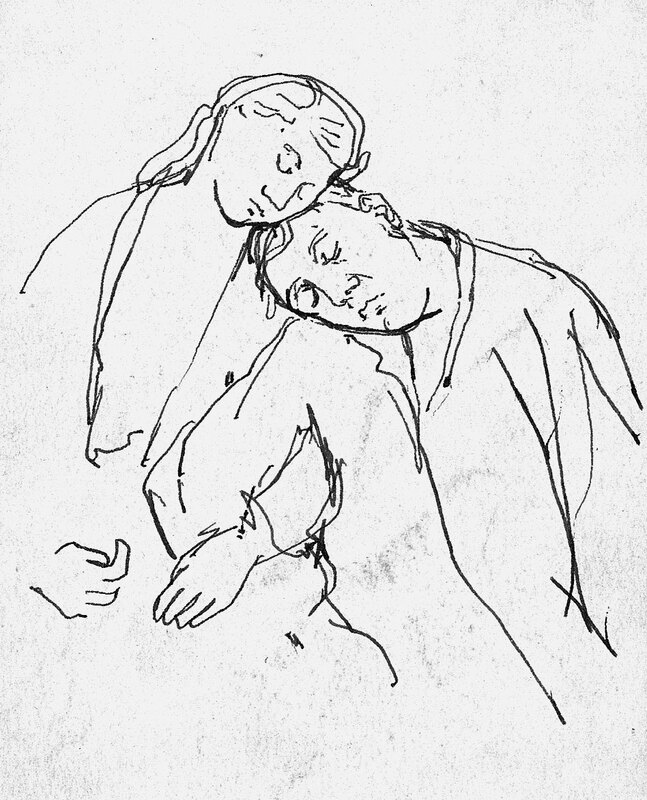 description A half-length, pen-and-ink study of a couple with linked arms, their eyes closed and heads resting against each other as though in sleep or from exhaustion. 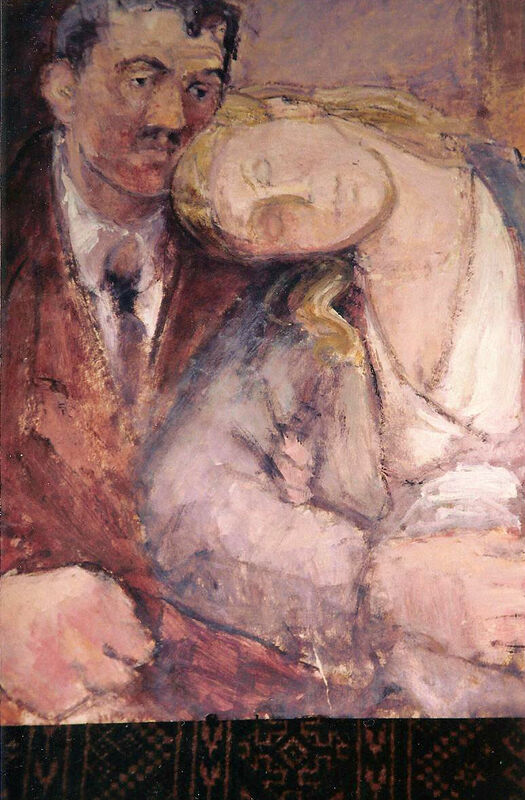 The drawing probably relates to the lithograph of the same title, in which only the man rests and the woman stands upright; and to an oil, where the woman rests and the man supports her. 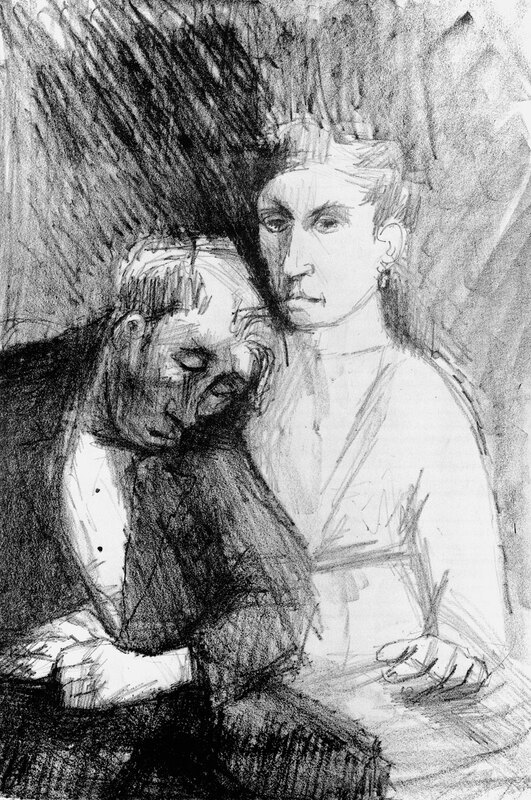 There is also a second pen-and-ink sketch, which was reproduced in the posthumous publication, 'Eva Frankfurther: People', with an appreciation by the art critic Mervyn Levy, published in 1962.